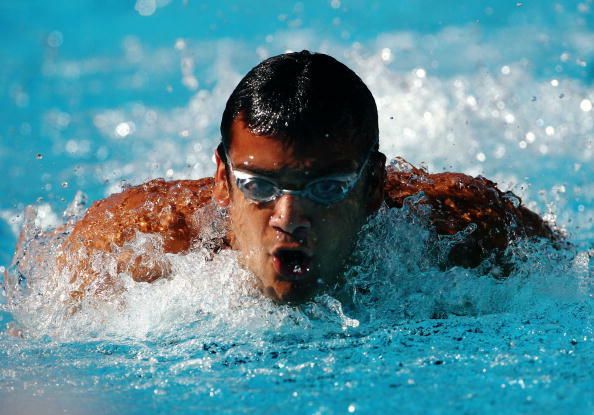 Rehan Poncha Interview: "I can match world's best golfers, never want to swim again"
After nearly 20 years of making a splash in the swimming pool, Olympian Rehan Poncha mulls over a career in golf. He currently is training with Rajeev Datar, a pro in the Indian circuit, at the Pune Golf Course, and is positive about chasing his goals in golf. In an exclusive interview with Sportskeeda, Rehan Poncha explained the difficult phase in his life when he failed to qualify for the London Olympics, and more. Of all sports, why golf? Doesn’t it seem out of the blue? I was on a swim break, and had nothing to do to pass time. One of my dad’s friends suggested that I go to the Pune Golf Course to spend some time. I met a few pros there, and just happened to hit a few balls whenever I was free. I started picking it up, and people who watched me play couldn’t believe that I was new to the sport. When I told my parents about my interest, they were not exactly as excited. They think it’s all happening too soon. They think that after 20 years of professional sport, I again want to take up another sport professionally and want to be the best in the country. After training for nine hours every day for the last 20 years of your life, how easy or difficult was it to make this choice? I did have sleepless nights wondering what I’d do with my life if I didn’t want to go back to the pool. I had to make myself accept that swimming wasn’t happening. I miss racing and the team, but I don’t miss training. And when I took to golf, it almost came naturally to me. I really love golf, and surprisingly, this is coming along easier than swimming ever did. Does this mean no more swimming? I am 26 now, and that’s certainly not too old for swimming. In my mind, I haven’t given up, I haven’t shut out the idea of racing again, and neither am I announcing my retirement. But I do have certain goals in golf that I want to chase. You know, every time I watched Michael Phelps race, I knew I couldn’t be like him. But when I am practising golf, I know that with good training I can match up to some of the best golfers. Maybe because I have been a swimmer all my life, I have better hand-eye coordination and flexibility to play the sport. I don’t know. But I just want to be the best in the country, like I was at swimming. What are your immediate goals for golf? I do have certain goals. Goals that may seem ambitious at the moment, but ones that I believe I can achieve. I was recently at Aamby Valley for the Golf Premier League. I was marshalling the event with a few of my friends, and happened to meet some of the best players in the world. I want to get to that level, so I need to start from participating at club events and then move to amateur golf. If things go well, then I could look at turning pro someday. It all seems too soon, but I am positive of doing well. What’s going to be the most difficult part about not swimming any more? I don’t have the heart to tell my coach Pradeep Kumar that I have moved on from swimming. He has made me what I am today. I have been posting so much about golf on my Facebook page, but I still haven’t told him yet. I want to meet him in person when I come to Bangalore next, and tell him about my interest in golf. If golf takes off well, I never want to swim again.